American Football Canterbury has really come into light within the last few years, providing a Nationally recognised program and developing some of New Zealand’s best players. 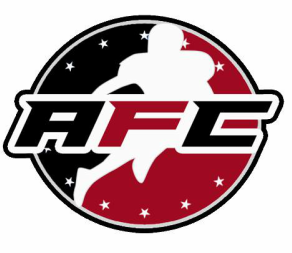 AFC originally started under the ‘GridironSoc’ banner in 2010 transitioning to ‘University of Canterbury American Football’ in 2011. With a group of young men hosting organised ‘Flag Football’ games on Ilam fields at the University of Canterbury. Created by founding father Jono Entwistle. As the interest grew, so did the the sport itself, sparking various competitions and a solid love for the game amongst players. Flag Football became a staple in the Canterbury region and has continued to grow and become popular throughout Senior and Junior competitions. The 2012-2013 Seasons were the transition and start of the AFC entity led by Brad Cottam and Mase Shaw, transitioning from Flag Football to Full Contact Football under the ‘DFL’ system taught by a Top level NCAA level Coach. 2014 welcomed the first addition of Canterbury’s 5-A-Side Football, adapted from 7-A-Side Football, allowing less numbers able to enjoy and play the game. 2014 was held as the Un-Official beginning of the coveted AFC Championship. Welcoming legend teams, the ‘Warhawks’ and ‘Rebels’. 2015 is labeled as the first ‘Official’ season of the AFC Championship. Sporting 3-Full Contact teams and introducing a third team to the Legend crew along side the Warhawks and Rebels. The Wolfpack. In 2017 AFC Veteran Brendan McGurk took over as Commissioner of American Football Canterbury. The regional body has continued to produce an excellent program that has been well received and recognised. AFC continues to progress and deliver a wealth of knowledge, skill as the region heads into their 4th Season of Full-Contact-Football in 2018.